WHY DOES HE SEND US HERE? - GÜLEFENDİM - [ EN SEVGİLİYE ] İman, Hakikat ve Huzur Yolu..! WHY DOES HE SEND US HERE? In short, we are sent here to improve our abilities and skills through the responsibilities He ordains for us. Not all people are created with the same ability and the same disposition; rather, they are like rough minerals waiting to be purified and refined. For example, artists want to express their talents, and so are known by the resulting works of art. In the same way, creation's majesty, splendor, and artistry present and reflect His sacred Names and Attributes. To show us His art,  He created the universe and exhibited aspects of His mysterious, hidden treasures within it. To show us how His Names, Attributes, and Divine Art become manifest, He created the universe step by step. He grants us countless opportunities to know Him better and to acquire sound knowledge about Him. 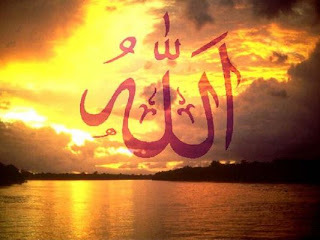 He is the absolute Creator who makes everything from one, and adds thousands of benefits to whatever He wills. Humanity is placed in creation to be tested, purified, and prepared for eternal bliss in Paradise. In one hadith, Prophet Muhammad said: "Human beings are like minerals. One who is good in jahiliyya (pre-Islamic Arabia) is also good in Islam." For example, 'Umar enjoyed dignity, glory, and honor before Islam, but acquired even more when he became a Muslim. He gained a calmer dignity, more tenderheartedness, and the grandeur of faith. Before his conversion, he might have been tough, quick-tempered, and haughty, one who thought he had everything; afterward, he was a most modest and humble person. Therefore, when we see well-mannered, dynamic, energetic, audacious, and spirited people, we hope that they will become Muslim. Islam deals with the most precious and valuable mineral—humanity. It kneads, improves, and matures each individual so that all impurities are expelled. The Companions were 100 percent pure. Muslims gradually began to decline in purity, to such an extent that in our own time some people retain hardly any purity. As a result, we have experienced great troubles and problems. For example, through His Attributes of Might, Power, Knowledge, Wisdom, Beauty, and Mercy. Bukhari, Iman, 10, Anbiya', 8–14; Muslim, Fada'il al-Sahaba, 168, Manaqib, 25; Ibn Hanbal, Musnad, 3:101. 'Umar ibn al-Khattab, the second caliph of the Islamic state, was a man of high standing in pre-Islamic Makka. A fierce opponent of the Prophet, after his conversion he became one of the most respected Muslims, both in his own time and throughout history. He was a major asset to the young Muslim community. In the context of this verse, "hands and feet" symbolize everything that allows us to act, such as our body, faculties, and opportunities. In other verses, "eyes, ears, and skin" serve the same function.